Ever since my previous Hello Paper Cat order, I've been obsessed with the shop. I even stalk the Instagram to stay on top of any new releases or special promotions. 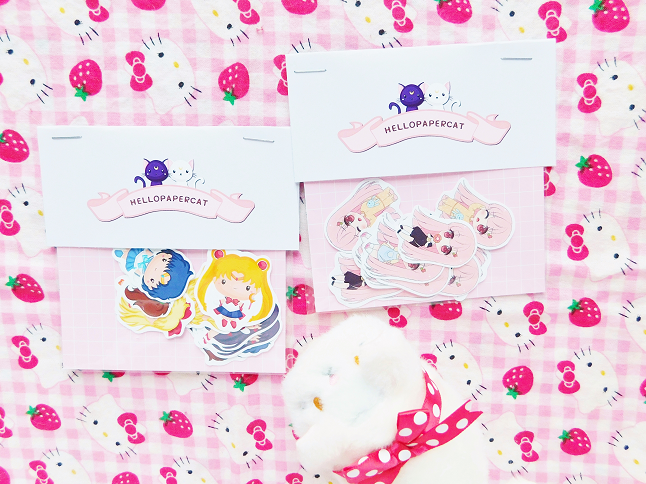 Over the weekend I may have placed another order (#sorrynotsorry) so don't be surprised if you see another Hello Paper Cat haul on my blog soon! By the way, I didn't even know that I used the exact same background and Tsum Tsum as my previous haul, my bad! I have so many mini Happy Planner dashboards at this point that I don't really need any new ones but I got sucked in because of the cute designs! Last time I decided to skip out on the BTS dashboard because I didn't want to look like a crazy fan but I regretted not buying it days later so this time it was the first thing I added to my cart! There is actually a new BTS DNA collection out and I want everything!!! The other planner dashboard I bought was this one with a vintage deer. I wanted a woodland theme that I could use in autumn/winter so I went with this one. I didn't notice that both of the covers had a pink polka dot background. If I had noticed earlier I would've bought a different one, oh well. You guys know how much I love anything coffee related! So when I saw these coffee bookmarks I knew I had to get some. 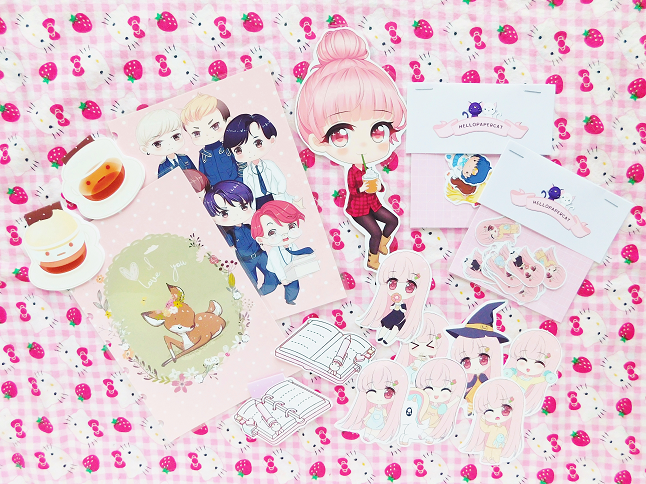 Ideally, I would've bought the whole set but I already have so many bookmarks so I settled with two just for now I may go back and buy the rest later though. 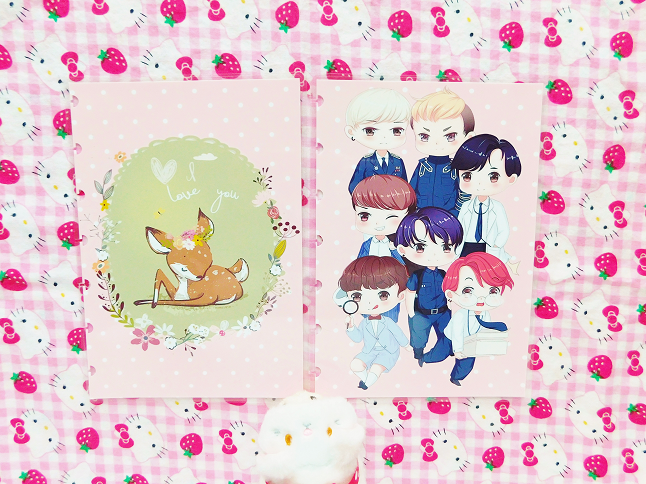 One of the freebies I received with my order was this cute bunny planner bookmark. So cute! My two stationery obsessions have been pens (let me know if you would like to see a pen haul/swatch test or if that sounds too weird) and die cuts. For a long time, I didn't get what die cuts were but they're basically stickers. I bought this set of die cuts to use as blog background props so you will be seeing a lot of these ladies in upcoming posts. 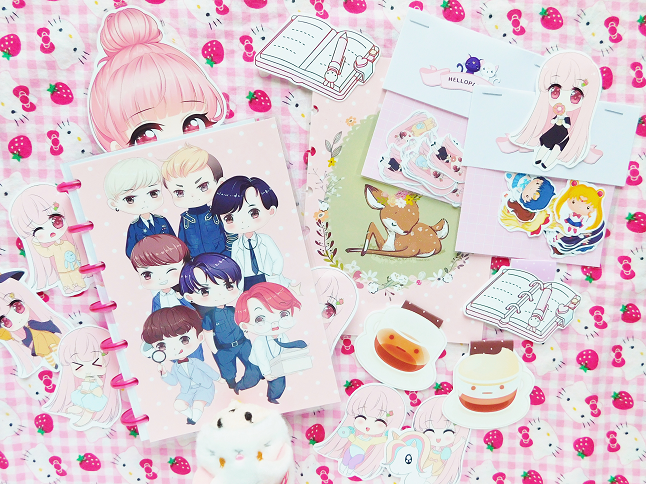 The other free gift that I got was the same pastel planner deigns but in die-cut form. The pug-kin page maker that I bought in my last HPC order has been one of the most used stationery items in autumn so I decided to buy another one to give the pug a break. 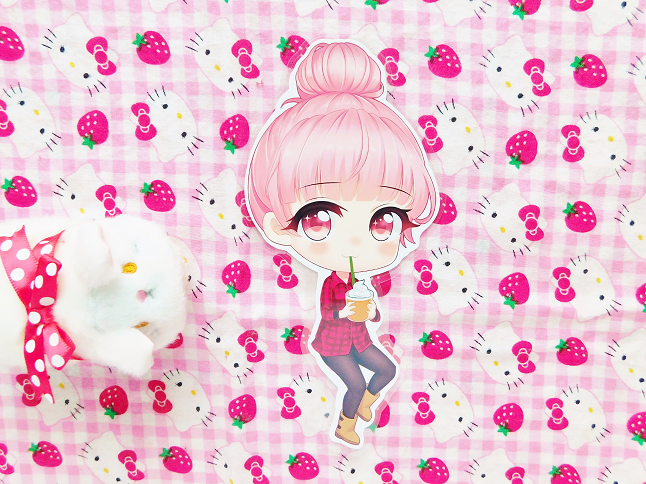 This pink haired girl is named Elodie and she is holding one of my favorite drinks, a pumpkin spice latte. She's laminated and sturdy perfect to keep tucked in your planner. 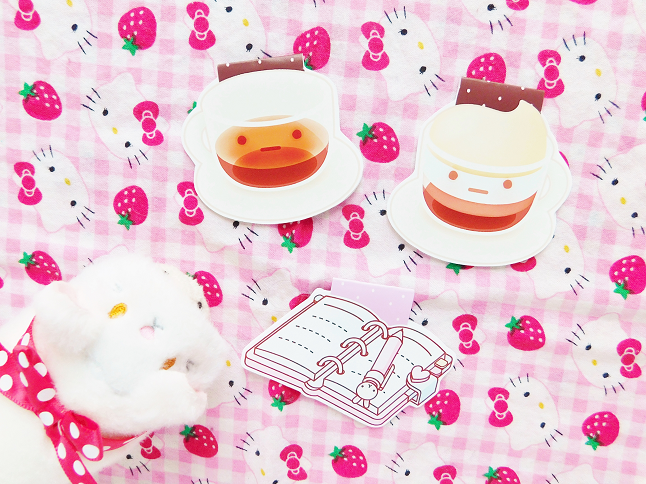 Lastly, I picked up some cute stickers! 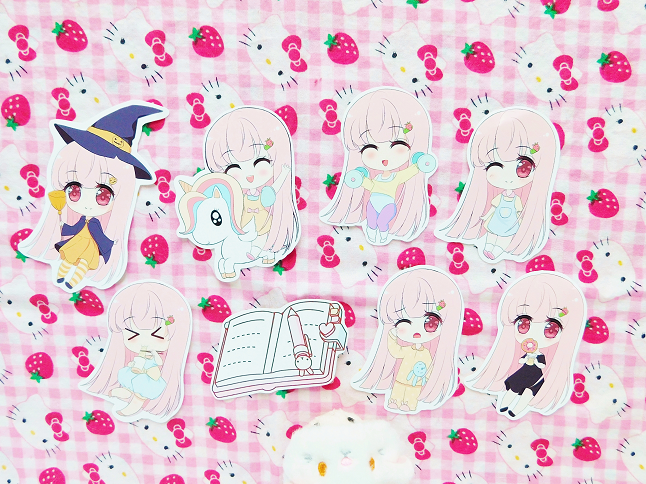 They had the same Elodie stickers but these are smaller which makes them even cuter than the die-cuts! I also got this Sailor Moon sticker set because I also wanted these last time so I got them this time.